As a Tennessee resident for almost my entire life, I'm proud to serve Mt. 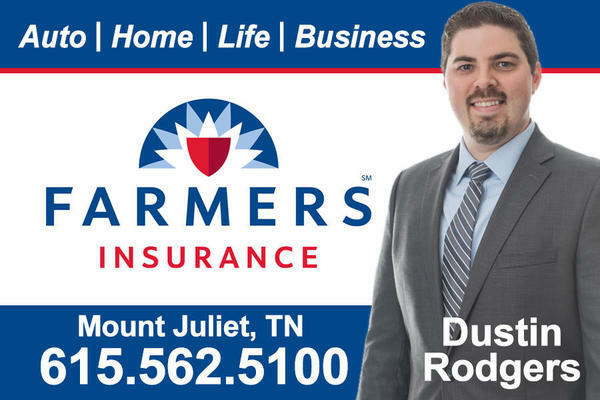 Juliet, TN and the surrounding areas as your local Farmers Insurance® agent. I bring over 8 years of insurance industry experience to help people like you find the best coverage options for auto, home, life, umbrella, business insurance and more. 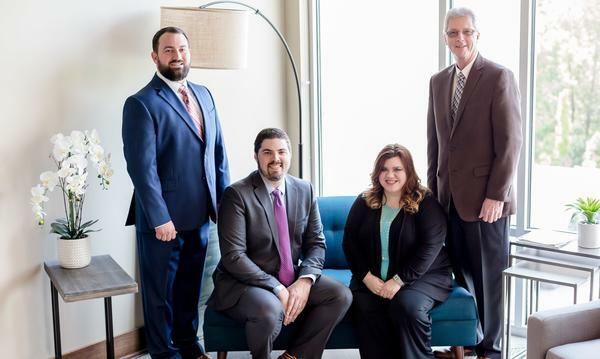 At the Rodgers Agency, our passion is providing correct and accurate risk management solutions for our clients, including families and small businesses. We specialize in asset management, and our goal is to ensure that you have the appropriate protection in place during your time of need. Let’s start a friendly and informative conversation today about protecting what matters most. Our office is located in the Providence area, in the same building as Burger Republic. Come find us on the second floor. We'd love to review your current policies and confirm that you have the proper insurance for your specific needs. Whether you are a contractor, retail, office, or restaurant owner, The Rodgers Agency can help you customize an insurance package to reduce your risk and protect your investment. 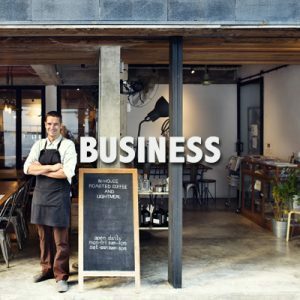 Contact us for a Business insurance quote today. 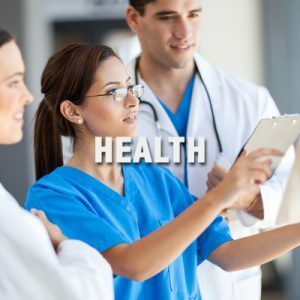 Are you paying too much for your Health Insurance? Not sure you’re on the right plan for you and your family? 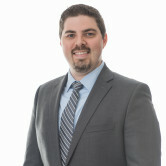 Call and talk with Dustin Rodgers, who can review your current policy and make recommendations. Having the right insurance policy for your Car, Home, Business, Health & Life really can make a difference for you and family. Plus, get competitive rates with our multi-line insurance discounts. 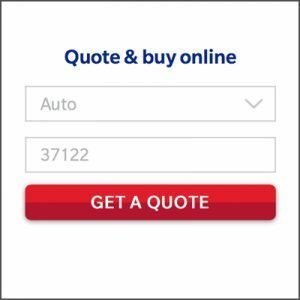 Get an insurance quote now. Dustin has been very helpful with getting insurance arranged for the purchase of our first home in Tennessee and getting all our Farmers policies from Missouri moved to TN. Having his steady assistance helped keep us organized in an otherwise chaotic time. Amy, Glad to be able to help as you transition to TN, and glad we were able to keep you with Farmers! I was referred to Dustin by Michael and NaNette Bucek. 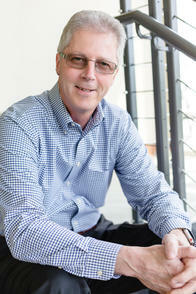 He has been very helpful, polite and responds to inquiries in a timely manner. He also went above and beyond to obtain the best premium quote possible. Christine, Glad to be able to help, and look forward to working with you. Dustin was very helpful in the whole process- quotes were received fast, and he met me at my home to review the contracts and get us set up. We couldn't be happier and I recommended Dustin to a co-worker who is needing new plans. Casey, So glad we were able to help you and your family! Look forward to working with you guys! We found the agent to be both informative and responsive. Answered our questions ina timely manner and guided us through the new policy. Dustin has always been responsive, but I especially like his personal touch...he came and visited us on the day we moved into our new home. Very good and like the way your company is so quick to get paper work for all things needed for each car or trucks and also all information needed concerning insurance needs was explained Very professional ! Looking forward for more insurance needs in the future. When we requested a quote, Dustin provided me with prompt information and checked back to see if we had questions without being a pest. When we met with him, he explained the policy and answered all of our questions. 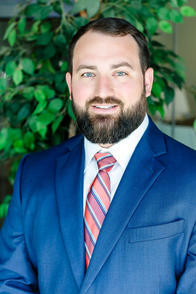 Jackson Boyd was the most professional and knowledgeable insurance agent I have ever had the pleasure of working with. We are excited for the opportunity to start our family with the backing of Farmers. My husband and I had a wonderful experience with the Dustin Rodgers team at Farmers. They blew everyone else’s rates out of the water and we were treated wonderfully! Mark really made sure that we understood our policies and has given us suggestions of other things to consider since we are purchasing a new home. I wouldn’t hesitate to send anyone I know to this group. We are looking forward to a lasting insurance relationship with both Farmers & the Rodgers team! There were a few hiccups in the beginning but everything worked out. Jackson Boyd and Dustin went above and beyond what was needed to make sure I was taken care of! Excellent service and very competitive premiums! These guys are true client-centric professionals. Jackson was a great help. The office worked tirelessly to make sure I knew what I was getting from them. Dustin is always very responsive to my inquiries and goes out of his way to address any of my concerns. Dustin works with me to find the best plan for my family and our budget. It was excellent. Mr Rogers was every helpful explaining policy. 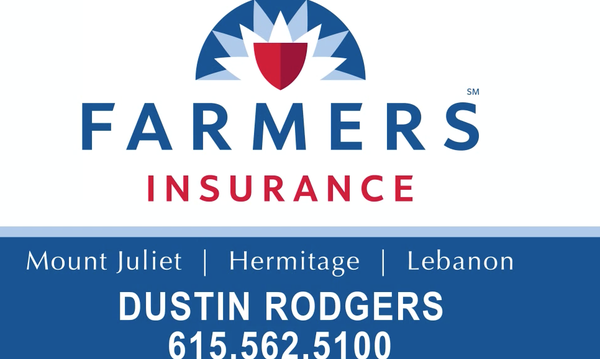 Give us a call for your insurance needs in Mount Juliet, Lebanon and Hermitage.